The handmade vegan hot fudge sauce by Coop’s Microcreamery is a treat beyond my wildest dreams! When I saw it in the jar, I thought it might be tasty. 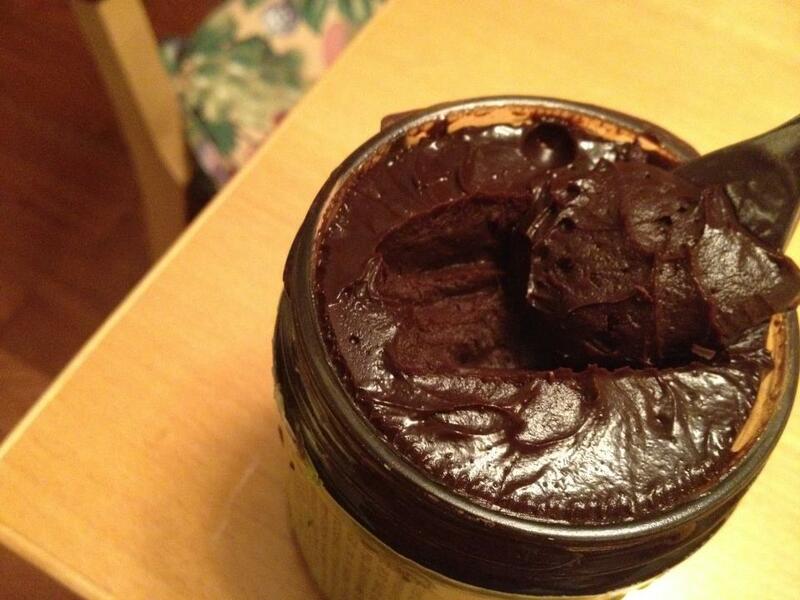 I had absolutely no idea this dark chocolate, rich and creamy fudge sauce would be Ah-ma-zing. And it’s made without any dairy, corn-syrup, or gluten. 1) Great flavor. The coconut-cream based sauce has a rich, dark chocolate flavor and velvety texture when eaten right out of the jar. 2) Great melt texture. After I melted a few spoonfuls in the microwave, the vegan hot fudge became a thick, creamy pool of dark chocolate deliciousness. The depth of the chocolate flavor was even better melted. 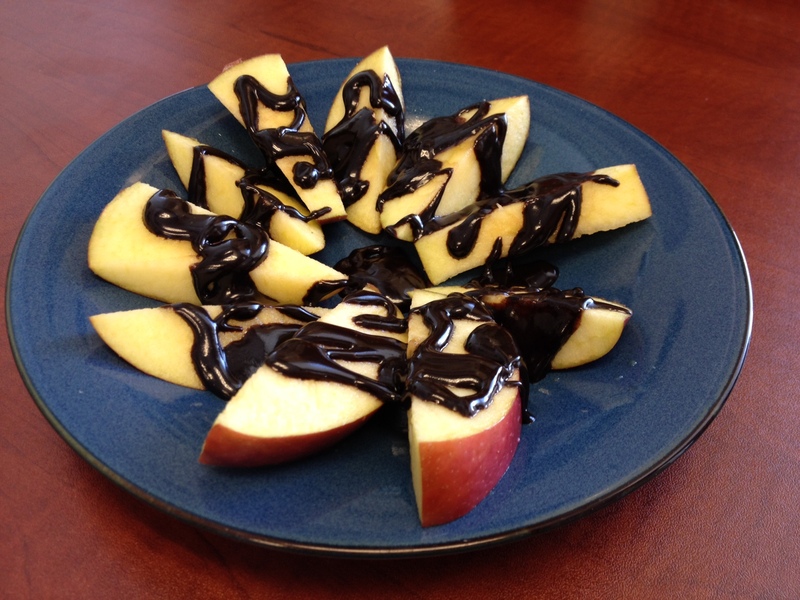 I can definitely recommend the Coop’s Microcreamery vegan hot fudge sauce melted over fruit (I tried apples, bananas, and oranges), over vegan ice cream, or just plain with a spoon out of the jar. Yum! I’m happy to report that this super yummy vegan hot fudge sauce from Coop’s Microcreamery is available online at Vegan Essentials! You also may be able to find it at a physical store near you. Check out the Coop’s Microcreamery store locator for the items marked with a (V). 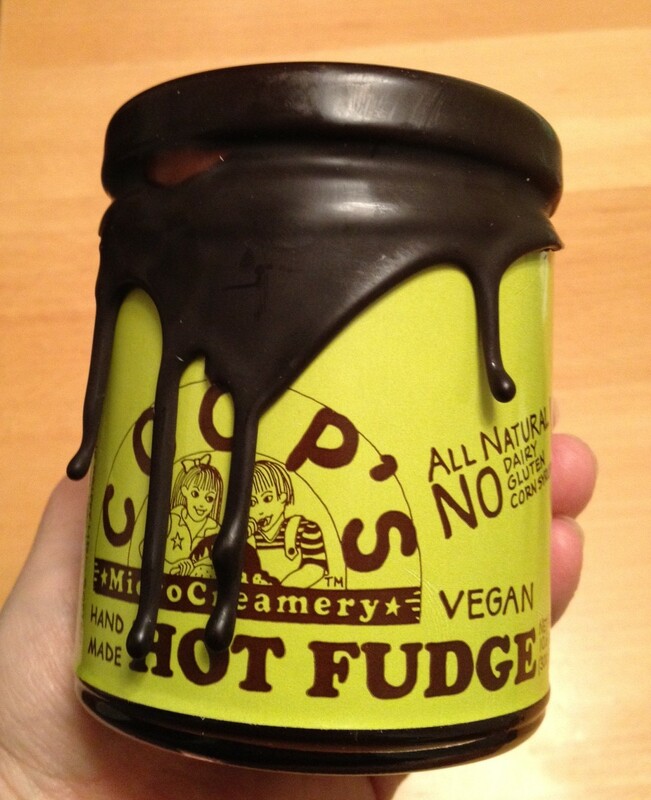 Coop’s Microcreamery has hit a homerun with its vegan hot fudge product. Hmmm… now, what about a vegan caramel sauce? !